Who doesn't have jeans in their closet? 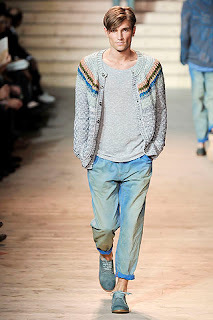 Denims are wardrobe staples for most people because they're comfy and they go with practically anything. Agyness Deyn even throws on her faded jean jacket over frilly frocks--both casual and dressy! 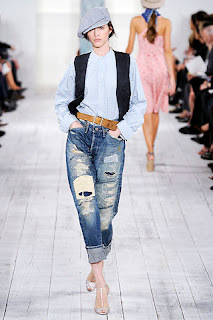 Ralph Lauren shows a variety of jean styles and washes in the Spring 2010 collection, from relaxed chic bottoms to distressed streetwear. If you don't have distressed denim yet, this can be your next DIY project. 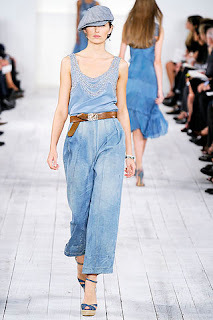 Denim dresses were short and funky on the Hervé Léger by Max Azria Spring 2010 runway. The denim dress is a constant at thrift stores around Quezon City, and the coolest thing is no two styles are alike. 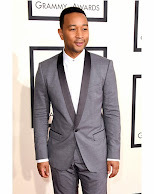 I think Justin Timberlake is one of the best dressed men in Hollywood, and his clothing line William Rast has the same hip, smooth and casual look he usually sports. 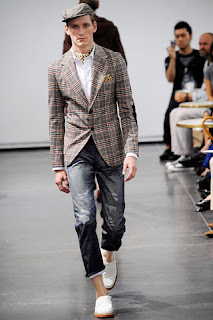 Along with his childhood friend Trace Ayala and designers Marcella and Johan Lindeberg, the label has launched a new slick collection for Spring 2010. 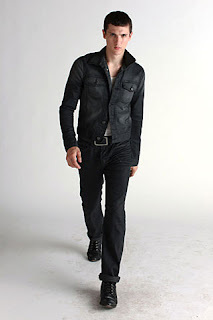 My favorites are the dark denims that have the perfect fit for men in my opinion--not too tight, not too loose. 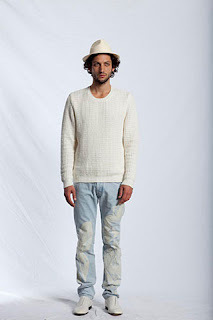 Jeans in light washes were spotted on the Spring 2010 collections of Missoni and Maison Martin Margiela. Worn with basic tees in white and gray, the look is clean, fresh and timeless. 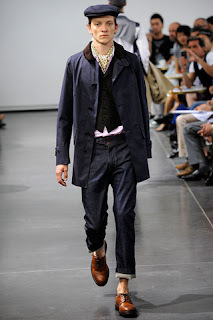 The length of the jeans and footwear in Junya Watanabe's Spring 2010 collection reminded me of local actor John Lloyd's recent oufits, which I personally thought didn't fit him well. Now that I've seen similar styling on these models, however, I think the look is cool and classy, but not for everybody. If you know you can pull it off, why not? Another great thing about denim is that it looks better and better with age, and we know closet keepers are Mother Nature's best friends. Reduce and reuse! Stop the Flood; Go Green!